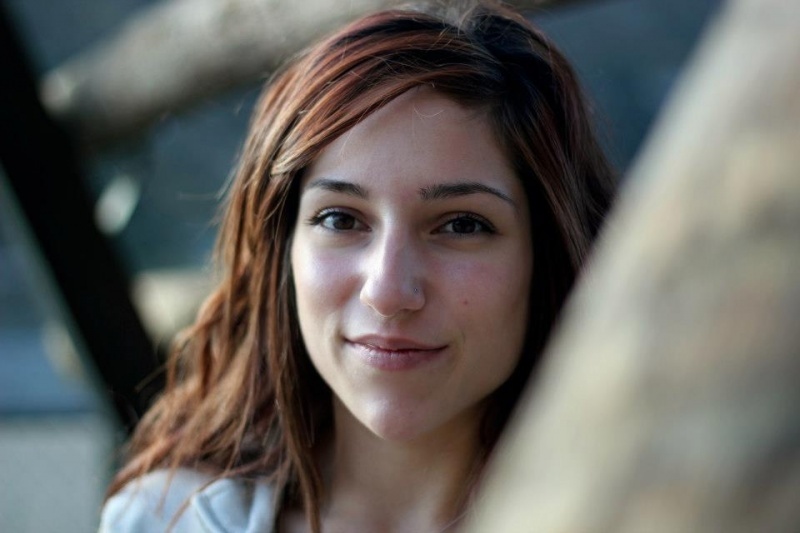 Alex Puccio, born Alexandrea Elizabeth Cocca at McKinney, Texas, is a professional climber specializing in bouldering. She competes in climbing competitions and splits her time between climbing outdoor and indoor. She is known for having great strength, allowing her to attempt projects usually only climbed by men. She regularly participates in United States national championship and the World Cup Climbing Federation. She finished 3rd overall in the World Cup bouldering competition in 2011 and won the American Bouldering Series eight times. She started climbing in 2002 at thirteen with her mother. In 2006 she participated for the first time in the U.S. Bouldering Championships, and won the title. She later won in 2007, 2008, 2010, 2011, 2012, and 2013. 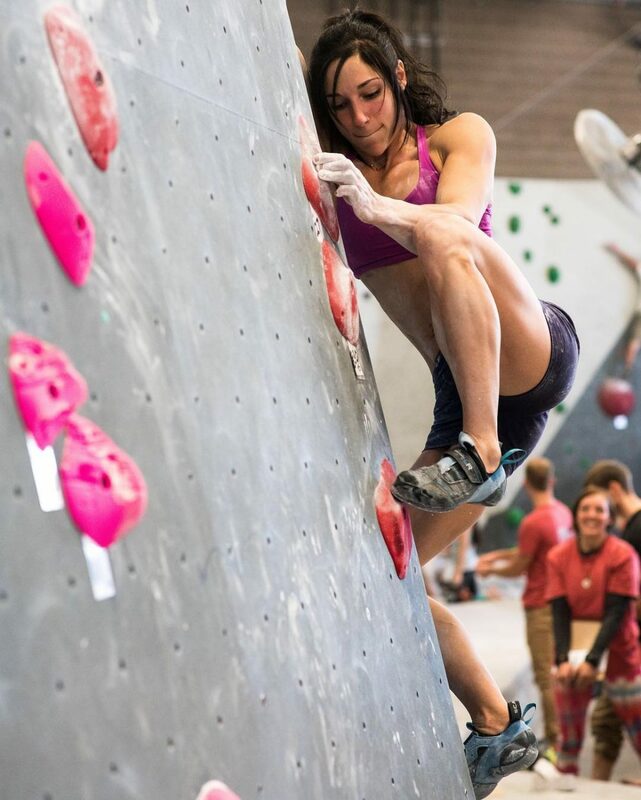 In 2008, 2009 and 2010 she competed in the World Cup bouldering climbing but only at the stage of Vail finishing sixth respectively, before and fourth. In 2011 she took part in all the steps going up to the podium five times, with three second places and two third places. She has ascended several boulders graded V12 (8A+) between the United States and Europe. In July 2014, Puccio ascended Nuthin But Sunshine in Rocky Mountain National Park. A month later, she ascended Jade becoming the fourth woman to climb V14. Alex placed second in the Boulder World Championship in Munich, Germany on 23 August, 2014. In April she began the 2011 World Cup Bouldering circuit, which will include nine competitions in total. And climbing is still a family affair: Her mom now coaches climbing. And her younger brother, Shane, 20, is an avid climber and one of her mom’s students. Growing up, Puccio clearly had athletic inclination and potential. But for a long time, it seemed that every sport she tried — gymnastics, figure skating, basketball — left her bored. Climbing got her brain and body firing on all cylinders right from the beginning. And once she discovered bouldering, her current professional speciality, there was simply no stopping her. “Bouldering just grabbed my attention and kept me interested in a way nothing else did,” she says. Bouldering involves going a relatively short distance up a boulder (“around 20 feet, give or take,” says Puccio) without harnesses or ropes. Boulders are assigned degrees of difficulty, from V1 (the easiest) to V16 (the most difficult and complex). Puccio climbs V12s to V14. She relishes the explosive power and almost gymnastic movements required to scale the rock. She also enjoys the mental and physical challenges that face her every step of the way. At 5-foot-2, Puccio is short for a climber, but she is naturally strong and builds muscle easily, which gives her the strength she needs to propel herself up the rock. (Taller climbers can reach the next handhold on the rock without as much effort.) As much as strength, though, the sport requires strategy. You can have all the explosive power in the world, notes Puccio, but if you miscalculate your route up the boulder, there’s nothing there to catch you. If Puccio ever feels unmotivated to climb or train, she takes one of her fitness goals and makes a game of it. “I’ll tell myself: I have to get such-and-such done in X amount of time. Then I just keep trying it until I get it.” Right now, Puccio is working to move to the next degree of difficulty — climbing a V14 boulder. In bouldering, the route climbers take up a rock is called a “problem.” One of Puccio’s biggest joys is finding new ways to overcome problems. “In bouldering, there is always something to progress in, and always things you have to learn how to do or overcome. There’s always a next goal in climbing. I still have so many things to accomplish. Full Interview ohttp://www.womenfitness.net/alex-puccio/2/n Next Page!